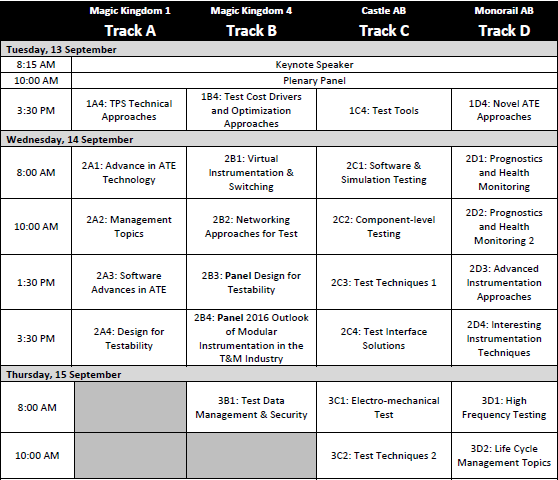 Registration: All attendees must check in at the registration desk to collect conference supplies. The registration desk will be located in Disney's Grand Ballroom Exhibit Hall lobby. Registration will be open at 2:00 PM on Sunday, September 11. 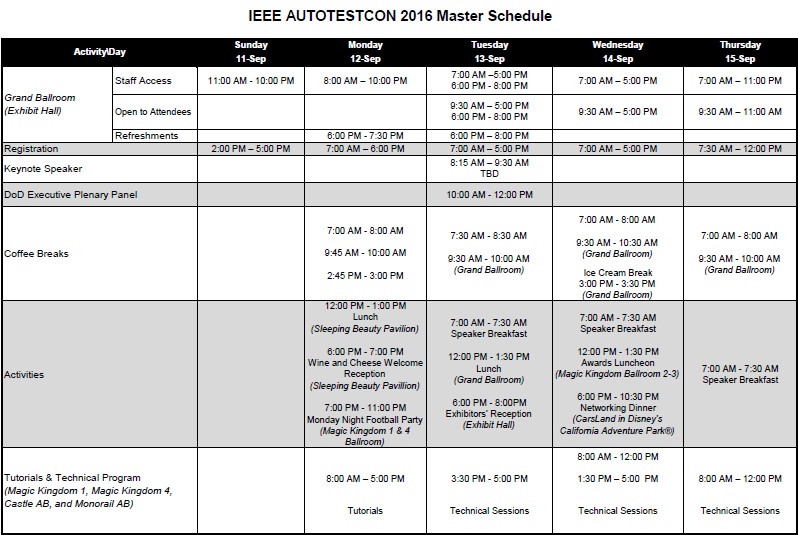 Dress Code: Dress code for attendance at all daytime IEEE AUTOTESTCON 2016 functions, including Tutorials, Technical Program, and Lunches, is Business (coat/tie), Business Casual, or Military Uniform of the Day. Shorts, jeans, "flip-flops", T-shirts and similar are not permitted. Dress code for the Tuesday Evening Networking event is Business Casual or Military Uniform of the Day. Dress code for the Wednesday Evening Networking event is Resort Casual including shorts and T-shirts. Flip-flops are not permitted.